Boost Awards is a trading brand of Boost Marketing Limited (Company Number: 07672452), whose registered office is at Platf9rm, Floor 5 &6, Tower Point, 44 North Road, Brighton, East Sussex BN1 1YR (“we” “us” “our”). 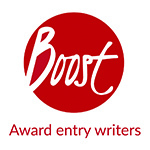 Awards list is a free service that is maintained and monitored entirely by Boost Awards. Whilst we endeavour to keep the awards information as up to date as possible, due to changes by awards organisers and other factors there may be the occasional omission. We recommend that you check individual award organiser websites for the latest information. The award entry services we will provide to you are the services set out in the Checking Our Understanding Email (“Services”). We will aim to meet any performance dates specified in the Checking Our Understanding Email or otherwise, but please note that such dates shall be estimates only. These Business Terms together with the checking our understanding email (“Checking Our Understanding Email”) set out our offer to provide the Services to you. Upon your confirmation to us that the terms set out in these Business Terms and the Checking Our Understanding Email are accepted, we will commence work on the Services and the contract (“Contract”) will come into force. The fee for the Services will be capped at the fee set out in the Checking Our Understanding Email (“Fee”). We will not exceed this without your permission. We will explore all the avenues we can think of to evaluate your business or initiatives, but we will not be untruthful or exaggerate. At best, we will make honest statistics look great with our excel skills. We will be reasonable about expenses. We also do not charge for incidental expenses such as phone bills. We may need you to help us find the information we require to provide the Services. Please bear in mind that unless you have all the information to hand, there will be some time investment at your end. Please also note that we will not be responsible for any loss you suffer as a result of any delays by you to provide this information. You will also need to notify us if any of the information you have provided to us is inaccurate or requires updating. Please allocate a named person who has agreed to be the liaison with us, and ensure that they have the time availability to undertake this important role. Please ensure the quantity of information that you send to us to read is reasonable and does not exceed the Reasonable Reading Amount (as defined in the Checking Our Understanding Email). Where we consider the information you provide to us to be excessive and to exceed the Reasonable Reading Amount, we may need to charge an additional sum for the additional work required. We will notify you of this in advance and await your confirmation that additional charges are accepted before commencing. If you book our Services and then for whatever reason decide to cancel the Contract, please notify us as soon as possible. Upon receiving notification of your intention to cancel the Services, the Services will cease. We may terminate the Contract where you breach your obligations under this Contract (please note this shall include where you fail to pay any sums due to us) or where your business is unable to pay its debts as they fall due; enters into involuntary liquidation; or ceases to carry on business. We may also terminate the Contract where we are unable to provide the Services to you or where in our opinion we think you should not proceed with the Services. Where the Services have commenced but have been subsequently terminated we will only charge you for the time incurred (as set out in the time sheet) by us up to the point of termination. Where payment of the Fee has not been received by us we will either send you a credit note or a new invoice in relation to the new amount due and payment of any outstanding sums shall be received by us within 30 days of an invoice or credit note being sent to you. Where we have already received the Fee (or some of the Fee) in cleared funds and the Services are terminated we will provide you with a credit note for amount we have received which exceeds the time we have incurred up to termination. We will charge you the fee set out in the Checking Our Understanding Email for the Services (“Fee”). Please note that the Fee is exclusive of VAT. Whilst we are prepared to cap our Services to the Fee, we will also keep an accurate time sheet detailing the time we have spent in providing the Services to you. Where you wish to add additional services to the Services or request a change to the Services, please confirm such requested changes in writing. We will then consider such changes and notify you of the additional charges you will incur with such changes. We will not implement the changes until we receive your confirmation to proceed. Where you require us as part of the Services to make applications or purchases on your behalf we will charge you an administration fee of 10% of the cost of the application or purchased services. It is possible that the Services may require surveys, market research, mystery shopping or another similar piece of additional research in addition to the Services. We reserve the right to seek an extension to the Fee to cover the costs of this additional work. Where you require us to incur additional expenses not previously communicated to you, we will communicate to you the cost of such expenses before incurring them. Unless set out differently in the Checking Our Understanding Email, we will raise an invoice based on an agreed quoted amount (set out in the Checking Our Understanding Email) on the date the Contract commences. The due date for payment will be set out in the invoice we provide to you, but will not be until a week after the completion date or 30 days from the date of the invoice (whichever is later). If we do not invoice you at the start of the Services, or where we invoice expenses, the payment terms will be 30 days from the date of the invoice. if you fail to make any payment of any sums due by the due date for payment (“Due Date”), we shall have the right to charge interest on the overdue amount at the rate of four per cent per annum above the then current Bank of England’s base rate accruing on a daily basis from the Due Date until the date of actual payment of the overdue amount. We reserve the right to charge you for any costs we incur in recovering any payment not received by the Due Date. We reserves the right to set off any amount owing at any time from you to us against any amount payable by us to You under the Contract. All information of a confidential nature (“Confidential Information”) shall be treated as confidential to the party disclosing the Confidential Information. – required to disclose it to a third party for the purpose of discharging its obligations under the Contract. Nothing in these Business Terms shall limit or exclude our liability to you for anything which cannot be excluded by law. We shall under no circumstances whatever be liable to you whether in contract, tort (including negligence), breach of statutory duty, or otherwise for any loss of profit or indirect consequential loss arising under or in connection with this Contract. Our total liability to you in respect of all losses arising under or in connection with the Contract, whether in contract, tort (including negligence), breach of statutory duty, or otherwise, shall be limited to the value of the Fees. For the purpose of this Contract intellectual property rights shall mean all rights to inventions, copyright and related rights, trade marks, business names and domain names, rights in get-up, goodwill and the right to sue for passing off, rights in designs, database rights, rights to use, and protect the confidentiality of, confidential information (including know-how), and all other intellectual property rights, in each case whether registered or unregistered (“Intellectual Property Rights”). All Intellectual Property Rights which relate to you and were created by us specifically for the delivery of services to you (“Client Intellectual Property”) will be licensed to you by us (“Client Licence”), until we received full payment of the Fee and any outstanding payments owed to us in relation to the Services. Upon receipt of the Fee and all outstanding payments, ownership of all rights in the Client Intellectual Property will be transferred to you. We shall grant you a royalty free, exclusive licence to use the all other Intellectual Property Rights in the Services (including our pre-existing Intellectual Property Rights), for use in connection with the Services (“Licence”). Please note that we may terminate the Licence and the Client Licence where we do not receive the Fee or any outstanding payments owed to us. In the event that the terms set out in these Business Terms conflict with the contents of the Checking Our Understanding Email, the contents of the Checking Our Understanding Email shall prevail. The Contract constitutes the entire agreement between us and you and supersedes and extinguishes all previous agreements, arrangements and understandings. No variation of this Contract shall be effective unless it is in writing and signed by both us and you. Failure to exercise, or any delay in exercising, any right or remedy provided under the Contract or by law shall not constitute a waiver of that or any other right or remedy, nor shall it prevent or restrict any further exercise of that or any other right or remedy. We may transfer our rights and obligations under this Contract, or any part of it to any other party. If any provision of the Contract is or becomes invalid, illegal or unenforceable, it shall be considered modified to the minimum extent necessary to make it valid, legal and enforceable. If such modification is not possible, then the relevant provision shall be treated as deleted and shall not affect the validity and enforceability of the rest of the Contract. Nothing in this Contract is intended to, or shall be deemed to, establish any partnership or joint venture between us and you, nor authorise any party to make or enter into any commitments for or on behalf of any other party. This Contract and any dispute or claim arising out of or in connection with it or its subject matter or formation including non-contractual disputes or claims shall be governed by and construed in accordance with the law of England and Wales. The parties agree that the courts of England and Wales shall have exclusive jurisdiction to settle any dispute or claim that arises out of or in connection with this Contract or its subject matter or formation including non-contractual disputes or claims.